2faceddesign.com is only little known and it is ranked #4,664,607 in the english speaking internet. It is using the content management system WordPress. The website is hosted on a Nginx web server. It is using HTML 5 as markup language and the loadtime is very slow with an average of 9.63 seconds. 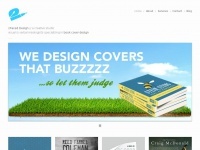 Description A design studio focused in BOOK COVER DESIGN. We clothe stories, working with both publishers and authors to create eye-catching covers that show and sell.